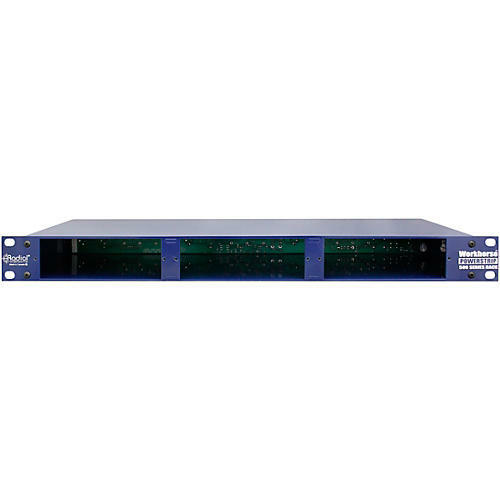 Single-space rackmount power supply for up to three 500 series modules. Unlike most other single space power racks that are limited to two modules, the innovative triple-module design allows you to put together a traditional channel strip, combining a mic preamp with an equalizer and dynamic control using a compressor-limiter all within the confines of a single RU 19" rack. With so many choices of modules available today, this opens the door to creating unique signal paths to allow your music to stand out. Create your own custom signal chain with the 3-module PowerStrip Power Rack.